Blackfish may have slowed down SeaWorld but it hasn’t slowed down their Russian friends a company called, White Sphere that is busy pulling orcas out of the Sea of Okhotsk. 2012 and 2013 have been successful years for “White Sphere” a conglomerate, and the Russian captive industry. 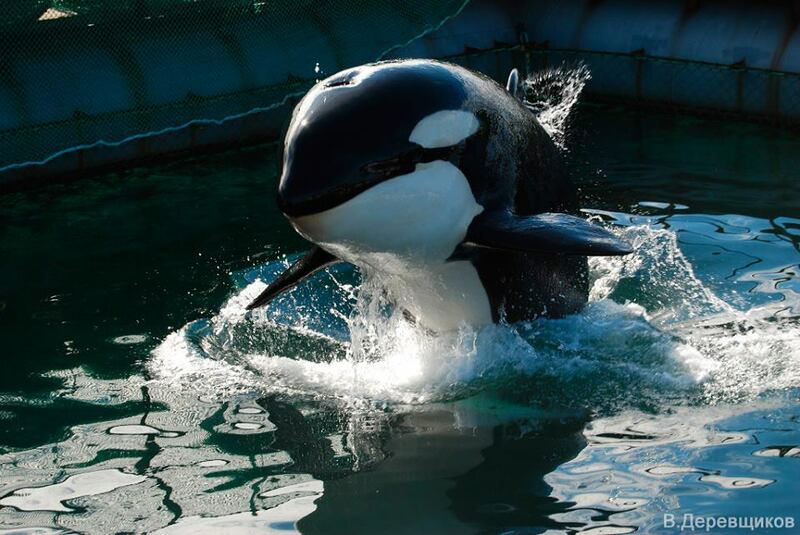 In 2012 they managed to capture the young female orca now known as Narnia and in August of 2013 White Sphere has captured an additional seven orcas during two different operations in the Okhotsk sea. Two of those orcas are headed for China: ” The rumors are China and Moscow where new facilities are coming on stream. To send the whales to China requires CITES permits and we have now found out that at least 2 CITES permits have been issued”(source). 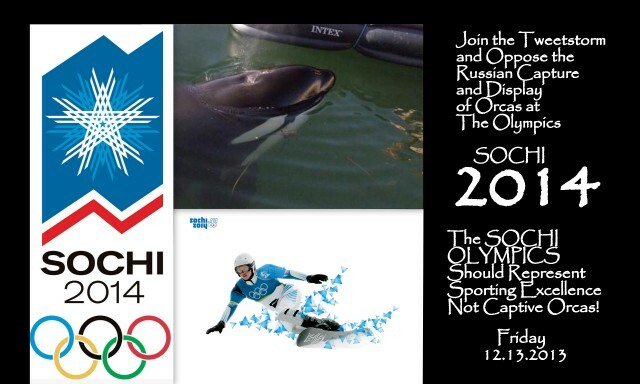 Two other whales are following a different path that White Sphere hope involves performing at the Sochi Olympics. An adult male, adult female and juvenile female killer whale were captured recently in the Sea of Okhotsk, eastern Russia, about 50 km south of the place where the young female orca Narnia was captured a year ago. White Sphere and their many partners believe the Sochi Olympics is an opportunity to make a global name for themselves, and to line their pockets with gold as they display captive orcas for the first time in Russia, at the Sochi 2014 Olympic Winter games. Join us on Friday the 13th of December as we explain to the IOC, Vladimir Putin, White Sphere, and their partners from around the world that their support, and capture of wild orcas is unacceptable! It’s time they watched “Blackfish” and learned orca captivity is coming to an end not a new beginning. 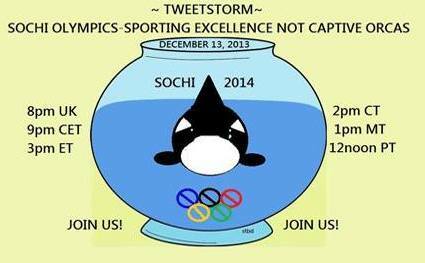 Join the Tweetstorm and be a voice for the Russian orcas! 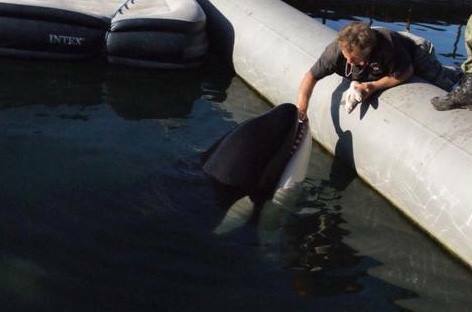 As the documentary “Blackfish” continues to recruit new advocates for orcas let us broadcast the terrible plight of Russian orcas. Be a voice for the Blackfish of Russia! Together we can make a difference! Creating Awareness is what we do! LIST OF TWEETS: ► will be posted SHORTLY BEFORE start of tweetstorm for trending reasons. 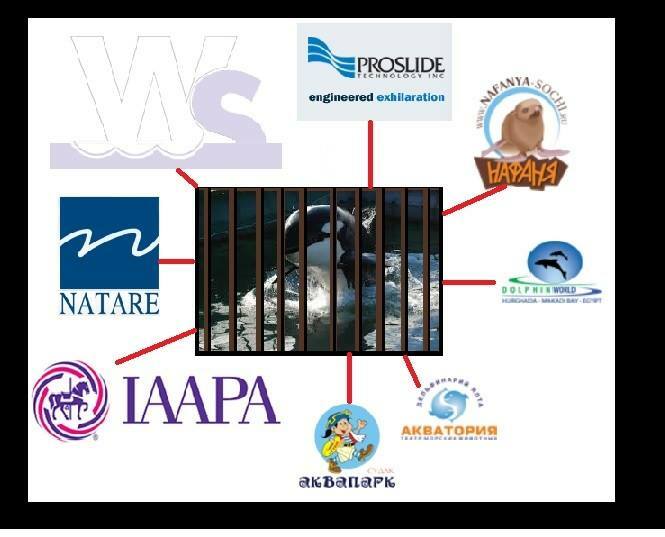 This entry was posted in Cetaceans, Dolphins and tagged Blackfish, Captive killer whales, Orcas, Russia, SeaWorld, Sochi, Winter Olympic Games by Kirsten Massebeau. Bookmark the permalink. What were the results of your twitter storm? (Wasn’t familiar w/ your effort then.) Apparently hasn’t stopped the Russians’ plans. How about doing your twitter storm again; team up w/ other animal rights organizations & make it much bigger! We need to stop this abuse of the Orcas! D.H. I think we trended worldwide at number two! But you are right in that Things of dolphins and small whales are worse than ever before in Russia.